The customary walking course is introduced here with pictures. Koarashiyama Bento During the light-up period we plan to offer “Koarashiyama Bento” boxes to be eaten on specially built dining platforms. Please look here for information regarding details and dates. Access ◆ By car… Approximately 6 km from the Kuroishi IC on the Tohoku Expressway, in the direction of Towada. Takes about 7 minutes. 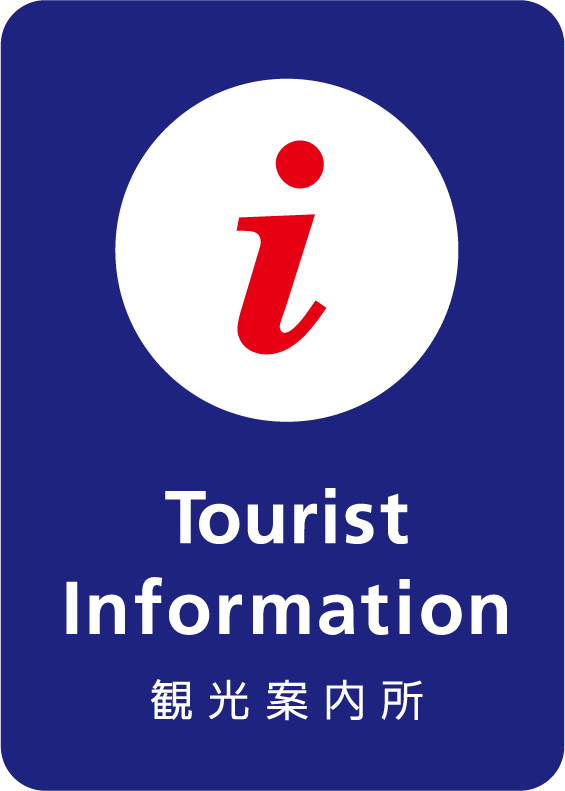 ◆ Via Konan Bus… Takes approximately 30 minutes from the Kuroishi Station. Please get off at either the “Nakano Jinja Mae” stop (from which you should be able to see the Nakano Shrine entrance), or the “Nakano Minami-guchi” stop. It is a 10 minute walk from the “Nakano Minami-guchi” stop. The way to the Nakano Shrine entrance gate from the Nakano Minami-guchi bus stop on the Konan Bus line. The way to the Nakano Shrine entrance gate from the “Yasuragi” parking area. The way the main shrine building from the entrance gate. The history of Nakano Maple Mountain began in the year 1802, when the feudal lord of the Hirosaki domain, Tsugaru Yasuchika, sent away for over one hundred varieties of maple trees to be transplanted to Kuroishi. 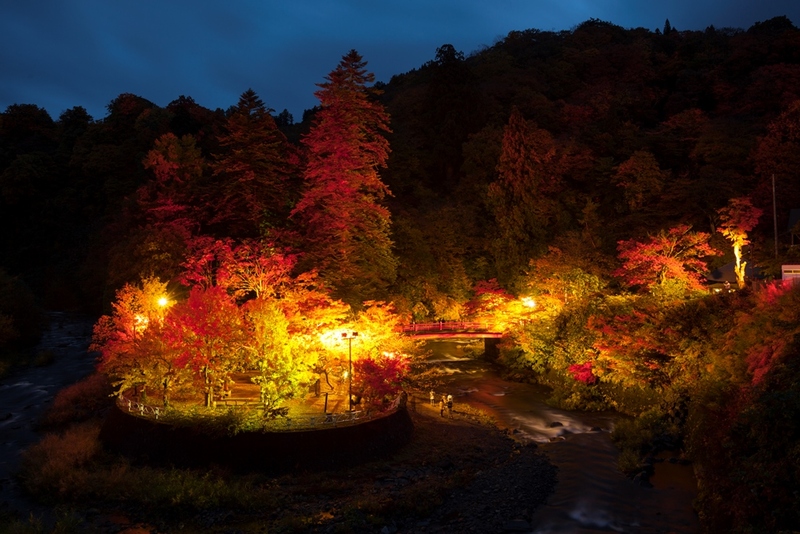 The area is so well known as a famous autumn foliage viewing area that every year many people come to visit from both inside the prefecture and out. Within the forest grounds are also located the Nakano Shrine and the Nakano Fudoudate Remains. The area is also famously known as one of the three places in Tsugaru where the Fudō deity is enshrined. ※ The three Tsugaru Fudō are located at Nakano Shrine (Kuroishi), Nagaisawa Shrine (Kuroishi), and Kokujou-ji (Ikarigaseki). 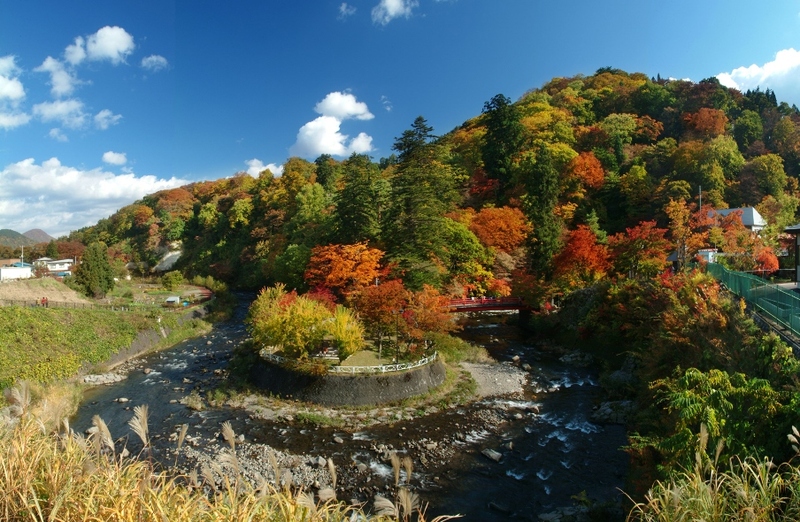 Please visit Nakano Maple Mountain, where not only can you see the hills burning with vibrant fall colors, but also enjoy a waterfall and a mountain stream. In addition to 200 year old maple trees, Nakano Shrine is also home to a 600 year old cedar, and 200 year old fir and pine trees. 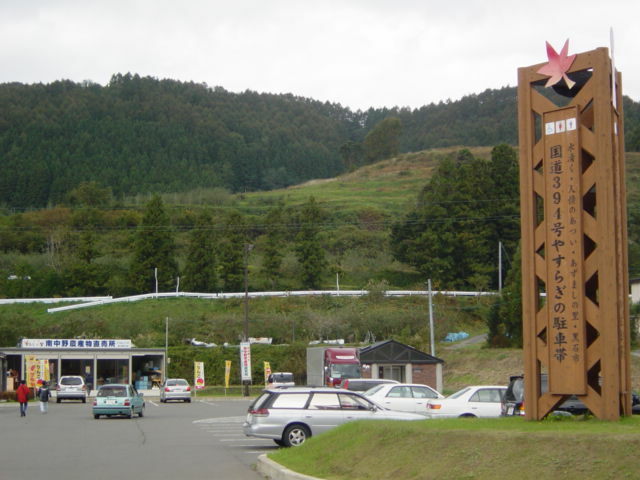 All of these are designated Natural monuments for the city of Kuroishi. In particular, the large cedar is valued as one of the large trees of the Tsugaru area.